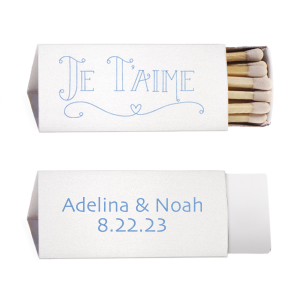 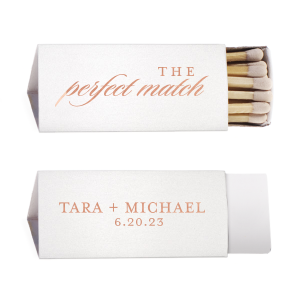 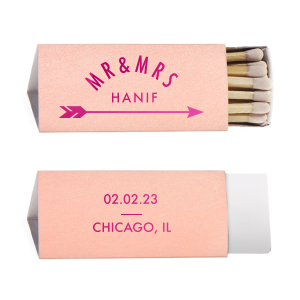 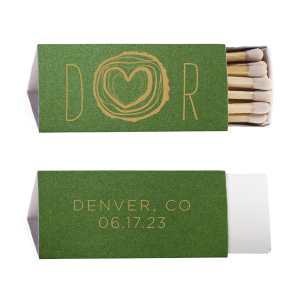 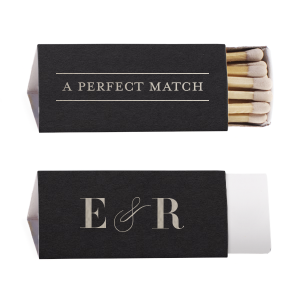 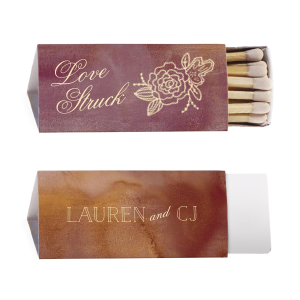 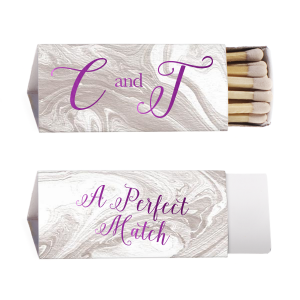 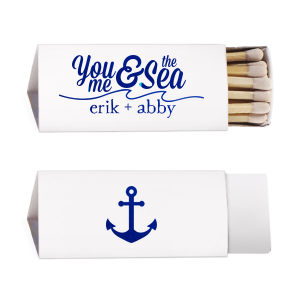 Finding the perfect match is worth celebrating with custom designed engagement party triangle matchboxes! 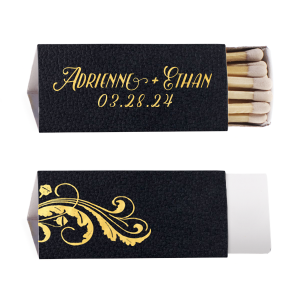 Personalize a design below or create your own in the FYP Customizer today. 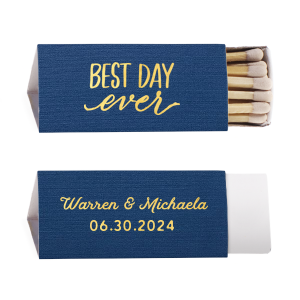 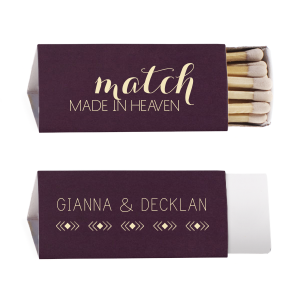 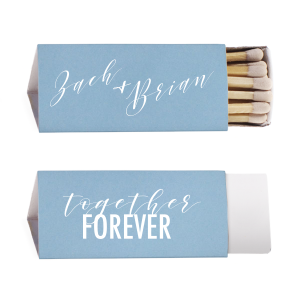 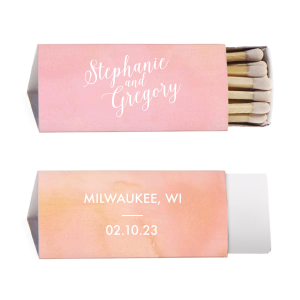 They’ve found their perfect match, so now let’s light it up in celebration with personalized engagement party triangle matchboxes! 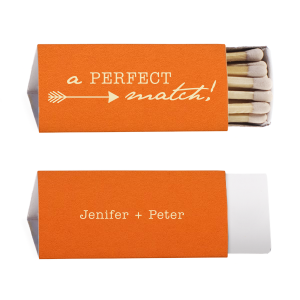 Easily find a color combination for your custom triangle matchboxes with over 100 paper colors and 50 foil stamping colors to choose from. 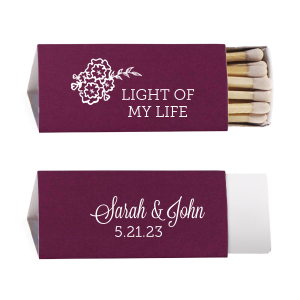 Browse our libraries of design ideas to get your creativity flowing, and soon you’ll be perfecting your custom engagement party triangle matchboxes. 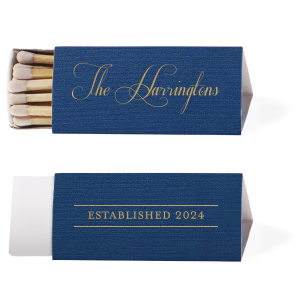 Your guests will love the modern shape of your personalized engagement party triangle matchboxes. 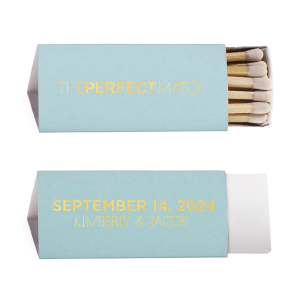 Design your custom engagement party triangle matchboxes today!